I caught this trailer a few times for the past few months and I told my friend this is one movie I’m not planning to watch. 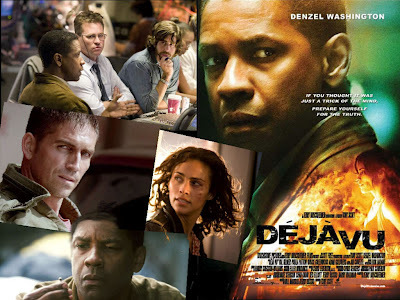 Two men bickering like women on screen, dusty setting with lots of car crashes and gun shots, it looked like a no brainer. But yes, this review here meant that I’ve watched it. And I got to say, I had to eat my words. The film was pretty good, and hilarious. But I was right about one thing. 2 Guns is really a little over the top. Some parts simply don’t make sense when you think about it (That is if you have the time to think through). The part about robbing a bank and uncovering the money to prove the drug dealings might make some sense for Bobby (Washington) but robbing a bank for the U.S naval for funding? 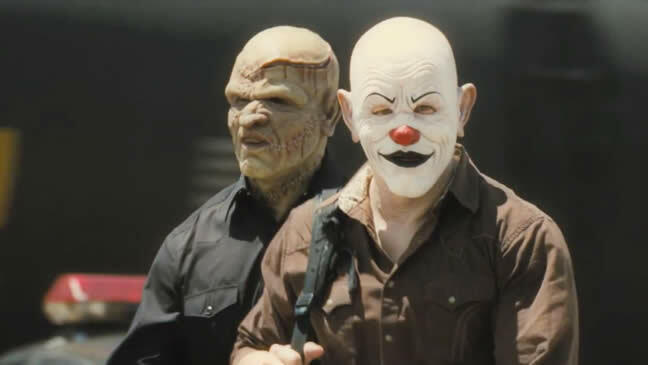 Hello Stigman (Wahlberg), that’s ridiculous! 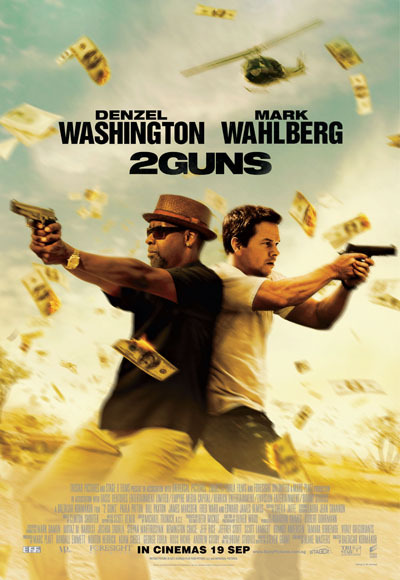 Ridiculous plot aside, you can’t help but enjoy Washington and Wahlberg on screen. The skillful filming technique had enhanced the offhanded chemistry which make me laugh. Two undercover cops with different attitudes, styles and slangs created a few memorable moments which elevate the rather standard buddy action comedy. I loved it when they talk, and they can continue talking, I will never get bored. 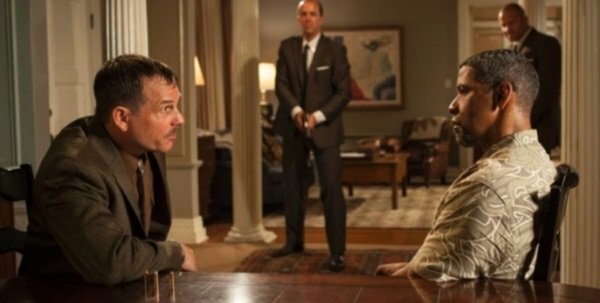 There were a few attempts to create some climax or intensity in the film, like the use of Russian Roulette on Bobby at his knees and even at his crotch (ouch). But it kind of failed, as it was used previously on a poor vet who helped Bobby clean up the wound. Moreover, being one of the main character, he Bobby can’t possibly be shot THERE. It’s one of those shows that you know the main characters won’t die and can’t die. I hate the part where Stigman shot the heads off of live, partially-buried chickens as a gag, it was very Very cruel. I seriously hope it is special effects and not real (though I hardly doubt so). P.S. 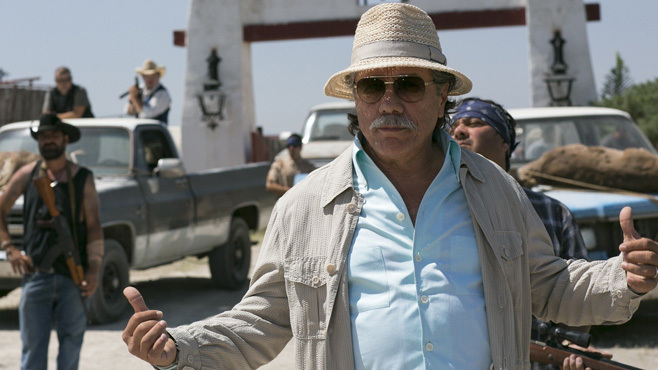 I do think Papi Greco (Edward James Olmos) look like Albert Einstein! 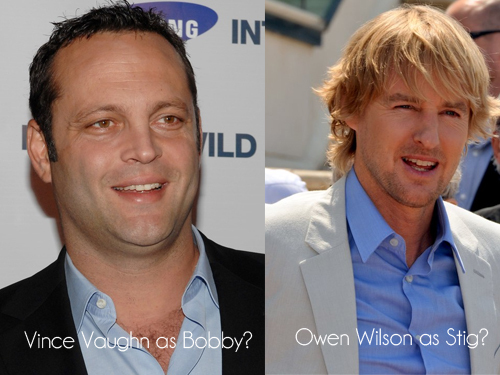 During the film’s development, Vince Vaughn was originally cast as Bobby and Owen Wilson was originally cast as Stig. Ellen Pompeo and Marisa Tomei were considered for the role of Deb. It also marks the second collaboration between Washington and Patton after having starred together in Déjà Vu. The film’s trailer features The Dead Weather’s 2010 song “Die by the Drop”. This song was previously used in the trailer for Contraband, also starring Mark Wahlberg and directed by Baltasar Kormákur. When Bobby is holding Quince in his office, Quince’s assistant comes in a draws his weapon. U.S. military personnel do not routinely carry sidearms on base. So there’s a factual error. 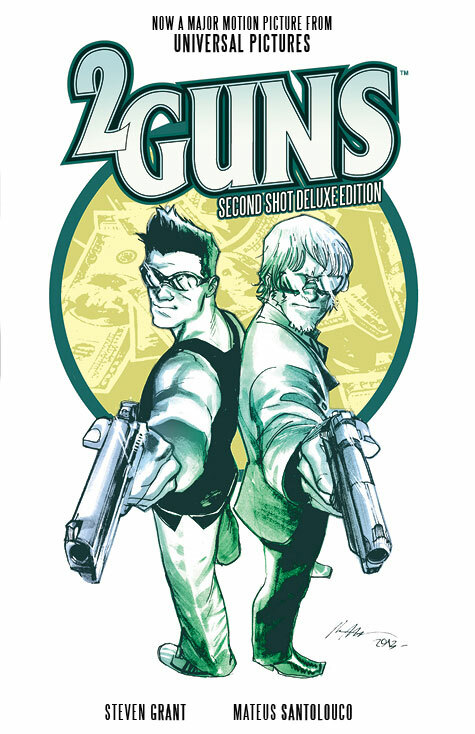 Check out 2 Guns Official Website and Facebook Page! 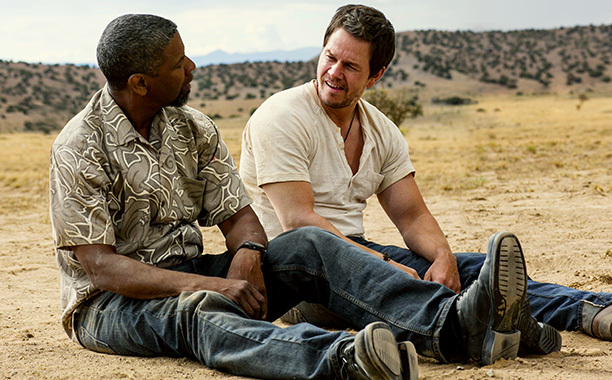 2 Guns will be in cinemas on 19 September 2013.